No cover, no tribute, something else ! Tringled fanzine : read this ! Just before the gig at the BSF, four of The Tringlers were interviewed by a BX1 team (regional television). Interview, agenda, quiz,… read Tringled ! 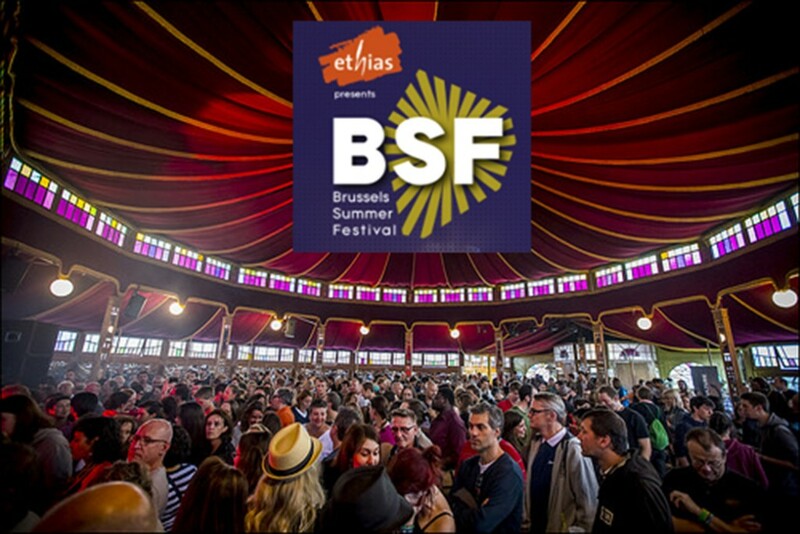 This summer, The Tringlers will play at home and it will be at the BSF ! 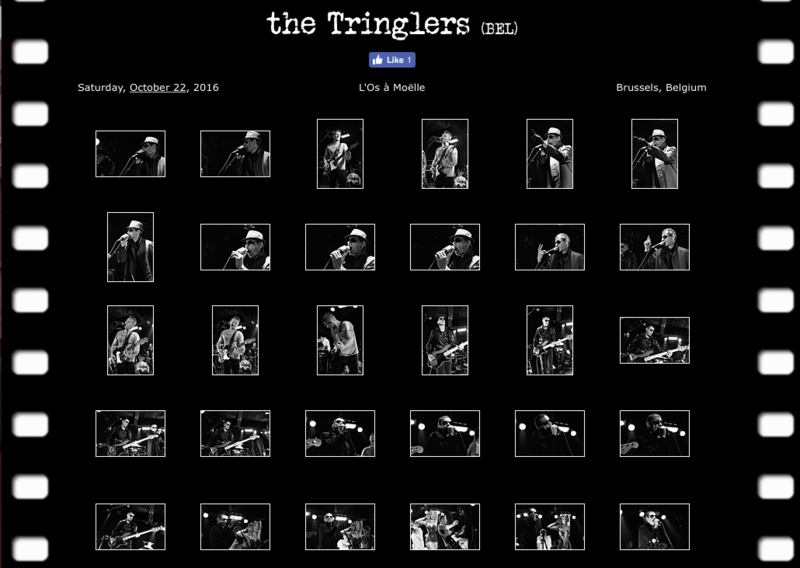 During the Use Hearing Protection Festival (Os à Moëlle), the photographer Philippe Carly captured the Tringlers in full action and… in black and white of course. Check it out ! Premier chapitre « festival » au programme des Meninblack from Brussels en 2017 : les Aralunaires le 6 mai à 14h. 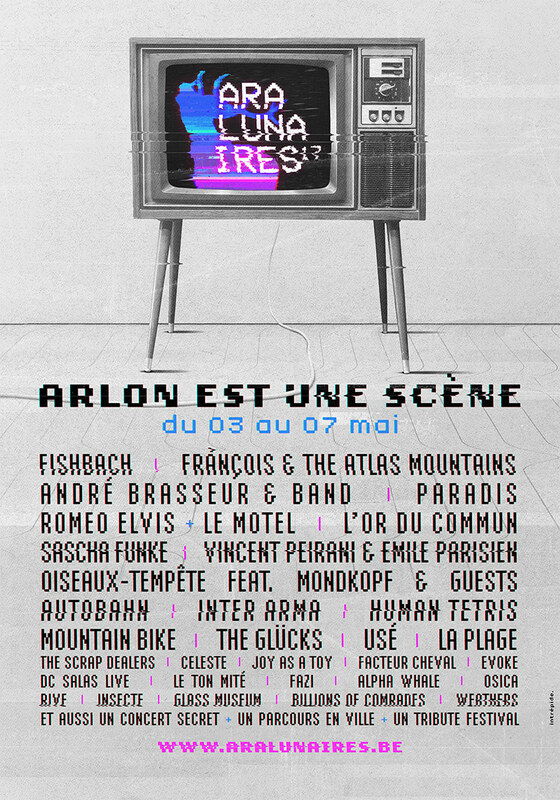 Les détails sur le site du festival ! 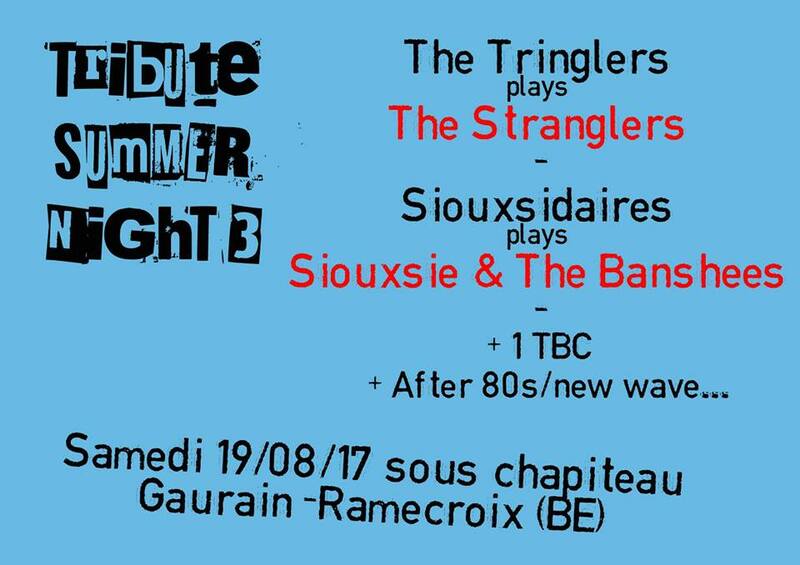 The Tringlers partageront la scène du troisième Tribute Summer Night avec Siouxsidaires et Ian Kevin. Même en 1979, on ne pensait pas réunir une affiche comme celle-là ! 1977… 2017 No more Heroes ! Publié dans Concerts	| Marqué avec 1977, Hell Hole, Meninblack from Brussels, No More Heroes, Punk, The Stranglers, The Tringlers	| Commentaires fermés sur 1977… 2017 No more Heroes ! The Tringlers « live » ! More videos to come… check it out! 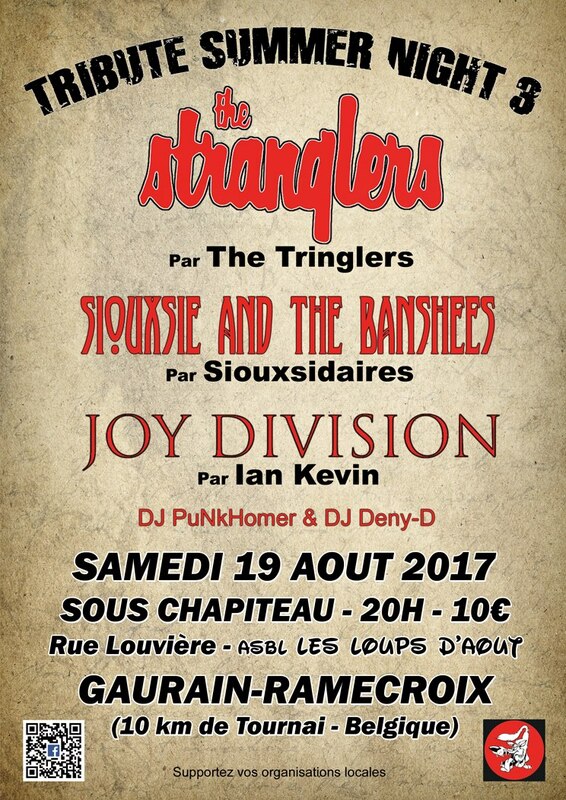 Publié dans Concerts	| Marqué avec 1977, Hell Hole, Meninblack from Brussels, Punk, The Stranglers, The Tringlers	| Commentaires fermés sur The Tringlers « live » ! More videos to come… check it out! 2017, here we come ! 1977-2017, The Tringlers will celebrate the release of Rattus Norvegicus and No More Heroes. That was 40 years ago ! Publié dans Concerts	| Marqué avec Concert, Festival, Summer	| Commentaires fermés sur 2017, here we come ! No cover, no tribute, something else ! Established since 2006. 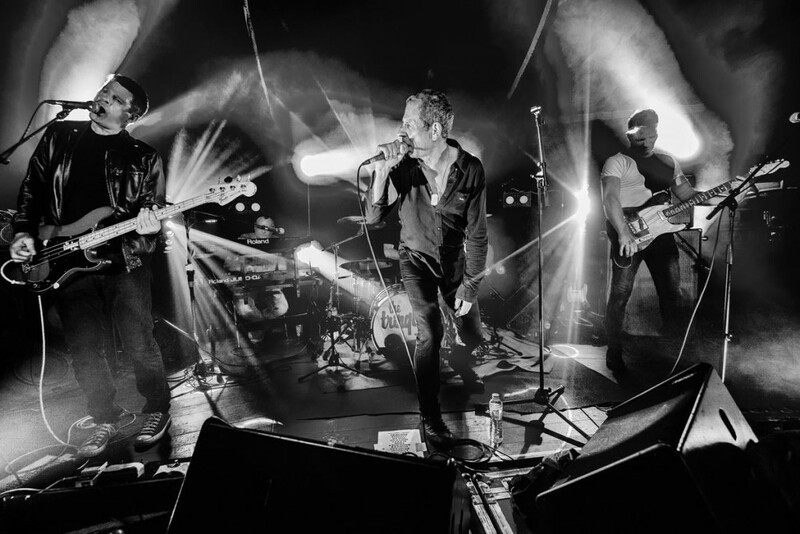 A five-piece band who plays the early anthems of the famous and infamous british legends, The Stranglers. 2019, a charabang year ! Waiting for ROCK OASIS FESTIVAL ! 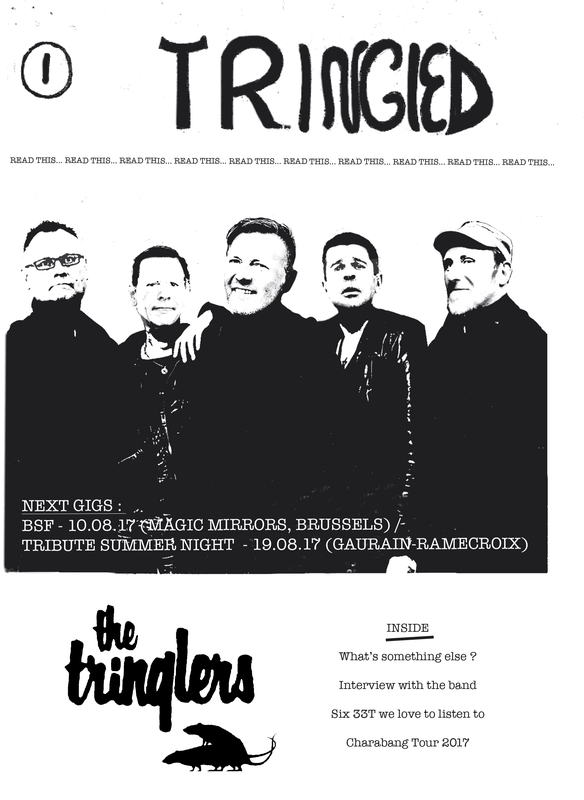 Coming soon the first CD of The Tringlers !